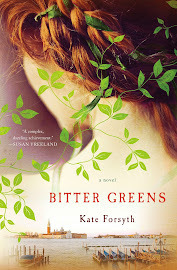 It’s our Incoming Books post for June 5, 2014. From Ellen Datlow, award-winning and genre-shaping editor of more than fifty anthologies, and twenty of horror’s established masters and rising stars, comes an all-original look into the beautiful, terrible, tragic, and terrifying. Wander through visions of the most terrible of angels, the Seven who would undo the world. Venture through Hell and back, and lands more terrestrial and darker still. Linger a while in childhoods, and seasons of change by turns tragic and monstrously transformative. Lose yourself amongst the haunted and those who can’t let go, in relationships that might have been and never were. Witness in dreams and reflections, hungers and horrors, the shadows cast upon the wall, and linger in forests deep. Come see what burns so bright. . . . Fearful Symmetries was funded on Kickstarter. 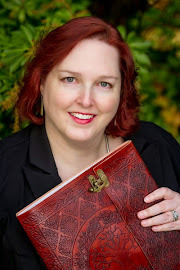 In addition to sixteen stories specifically solicited for the anthology, Ellen Datlow chose four stories submitted during the month-long open reading period, adding some excellent new writers to the mix. So in addition to award-winning and/or bestselling writers such as Brian Evenson, Jeffrey Ford, Caitlin R. Kiernan, Pat Cadigan, and Michael Marshall Smith, there are a few names with whom readers might not yet be familiar—yet. Writers such as Siobhan Carroll, Catherine MacLeod, and Carole Johnstone. Each writer in this book has a unique voice, and this multitude of voices has created a symphony that will continue to be appreciated for many years to come. Lost in time, shrouded in dark myths of blood and magic, The Door in the Mountain leads to the world of ancient Crete: a place where a beautiful, bitter young princess named Ariadne schemes to imprison her godmarked half-brother deep in the heart of a mountain maze, where a boy named Icarus tries, and fails, to fly—and where a slave girl changes the paths of all their lives forever. The house brought them together, but secrets will tear them apart. When Betty Gardiner dies, leaving behind an unkempt country home, her grandson and his young wife take a break from city life to prepare the house for sale. 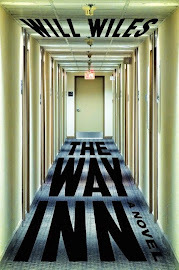 Nowell Gardiner leaves first to begin work on his second mystery novel. By the time his wife Vivian joins him, a real mystery has begun: a local girl has been found dead in the woods behind the house. Even after the death is ruled an accident, Vivian can’t forget the girl, can’t ignore the strange behaviour of her neighbours, or her husband. As Vivian attempts to put the house in order, all around her things begin to fall apart. The Qualities of Wood is a novel about secrets. Family secrets. Community secrets. And secrets between lovers, past and present. And all of these secrets have their price. Acclaimed fantasist Mary Robinette Kowal has enchanted many fans with her beloved novels featuring a Regency setting in which magic—known here as glamour—is real. In Valour and Vanity, master glamourists Jane and Vincent find themselves in the sort of a magical adventure that might result if Jane Austen wrote Ocean’s Eleven. Bestselling authors and archaeologists Michael and Kathleen Gear begin the stunning saga of the North American equivalent of ancient Rome in People of the Morning Star. The city of Cahokia, at its height, covered more than six square miles around what is now St. Louis and included structures more than ten stories high. Cahokian warriors and traders roamed from the Great Lakes to the Gulf of Mexico. What force on earth would motivate hundreds of thousands of people to pick up, move hundreds of miles, and once plopped down amidst a polyglot of strangers, build an incredible city? A religious miracle: the Cahokians believed that the divine hero Morning Star had been resurrected in the flesh. But not all is fine and stable in glorious Cahokia. To the astonishment of the ruling clan, an attempt is made on the living god’s life. Now it is up to Morning Star’s aunt, Matron Blue Heron, to keep it quiet until she can uncover the plot and bring the culprits to justice. If she fails, Cahokia will be torn asunder in warfare, rage, and blood as civil war consumes them all. A new trilogy in the Universe of The Saga of Seven Suns. Twenty years after the elemental conflict that nearly tore apart the cosmos in The Saga of Seven Suns, a new threat emerges from the darkness. The human race must set aside its own inner conflicts to rebuild their alliance with the Ildiran Empire for the survival of the galaxy. In Kevin J. Anderson's The Dark Between the Stars, galactic empires clash, elemental beings devastate whole planetary systems, and factions of humanity are pitted against each other. Heroes rise and enemies make their last stands in the climax of an epic tale seven years in the making. Rosamund is an Earth Master in the Schwarzwald, the ancient Black Forest of Germany. Since the age of ten, she has lived with her teacher, the Hunt Master and Earth Magician of the Schwarzwald Foresters, a man she calls “Papa.” Her adoptive Papa rescued her after her original Earth Master teacher, an old woman who lived alone in a small cottage in the forest, was brutally murdered by werewolves. Rosa herself barely escaped, and this terrifying incident molded the course of her future. For like her fellow Earth Masters of the Schwarzwald Lodge, Rosa is not a healer. Instead, her talents lead her on the more violent path of protection and defense— “cleansing” the Earth and protecting its gentle fae creatures from those evil beings who seek to do them harm. And so Rosa becomes the first woman Hunt Master and the scourge of evil creatures, with a deadly specialty in werewolves and all shape­shifters. While visiting with a Fire Master—a friend of her mentor from the Schwarzwald Lodge— Rosa meets a pair of Elemental Magicians from Hungary who have come looking for help. They suspect that there is a dark power responsible for a string of murders happening in the remote countryside of Transylvania, but they have no proof. Rosa agrees to help them, but there is a catch: one of the two men asking for aid is a hereditary werewolf. Rosa has been taught that there are three kinds of werewolves. 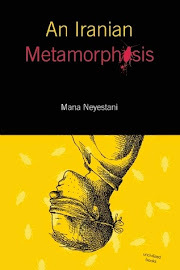 There are those, like the one that had murdered her teacher, who transform themselves by use of dark magic, and also those who have been infected by the bite of these magical werewolves—these poor victims have no control over their transforma­tive powers. Yet, there is a third kind: those who have been born with the ability to trans­form at will. Some insist that certain of these hereditary werewolves are benign. But Rosa has never encountered a benign werewolf! Can she trust this Hungarian werewolf? Or is the Hunter destined to become the Hunted? England in the fourteenth century: a land of poverty and opulence, prayer and plague…witchcraft and necromancy. As a child, Elisha witnessed the burning of a witch outside of London, and saw her transformed into an angel at the moment of her death, though all around him denied this vision. He swore that the next time he might have the chance to bind an angel’s wounds, he would be ready. And so he became a barber surgeon, at the lowest ranks of the medical profession, following the only healer’s path available to a peasant’s son. 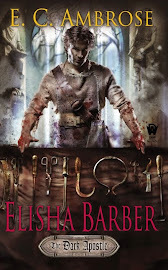 Elisha Barber is good at his work, but skill alone cannot protect him. In a single catastrophic day, Elisha’s attempt to deliver his brother’s child leaves his family ruined, and Elisha himself accused of murder. Then a haughty physician offers him a way out: come serve as a battle surgeon in an unjust war. Between tending to the wounded soldiers and protecting them from the physicians’ experiments, Elisha works night and day. Even so, he soon discovers that he has an affinity for magic, drawn into the world of sorcery by Brigit, a beautiful young witch…who reminds him uncannily of the angel he saw burn. In the crucible of combat, utterly at the mercy of his capricious superiors, Elisha must attempt to unravel conspiracies both magical and mundane, as well as come to terms with his own disturbing new abilities. But the only things more dangerous than the questions he’s asking are the answers he may reveal. E. C. Ambrose writes with a razor’s ruthless precision, and draws new blood from the medieval world you thought you knew. Chiku Akinya, great granddaughter of the legendary space explorer Eunice and heir to the family empire, is just one among millions on a long one way journey towards a planet they hope to call their new home. For Chiku, the journey is a personal one, undertaken to ensure that the Akinya family achieves its destiny among the stars. Young Gordon Van Zandt valued duty and loyalty to country above all, so after 9/11, he dropped out of college and joined the Marine Corps. This idealism vanished one fateful day in a war-torn city in Iraq. 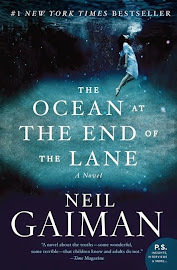 Ten years later, he is still struggling with the ghosts of his past when a new reality is thrust upon him and his family: North America, Europe and the Far East have all suffered a devastating Super-EMP attack, which causes catastrophic damage to the nation’s power grid and essential infrastructures. Everything from cell phones to cars to computers cease to function, putting society at a standstill. With civilization in chaos, Gordon must fight for the limited and fast dwindling resources. He knows survival requires action and cooperation with his neighbors, but as the days wear on, so does all sense of civility within his community—and so he must make some of the most difficult decisions of his life in order to ensure his family’s safety. For readers of Going Home by A. American, Lights Out by David Crawford, Lucifer’s Hammer by Jerry Pournelle and One Second After by William Forstchen. Samantha Clark has always known she was different. Brought up in a loveless household, she can almost forgive herself for turning to an abusive boyfriend to help her give her the roots and love she desperately needs. But that solution turns violent, and Sami is on the run, turning to a college friend who offers her a new hope at 'family'. Set in rural Kentucky in 1985, Midnight is the inward journey of Sami's self-loathing, self-reflection, and eventual self-acceptance. Through the love of her friends and the mysterious Michael, Sami not only heals from the scars given earlier in life, she also finds her personal strength. There’s some great summer reading on this list. We hope you’re enjoying the last few weeks of Spring!